​​​​GRAPEVINE – Texas and tractors are a natural fit. The new facility, which includes the headquarters building and an adjacent research and development building, is expected to create more than 340 new jobs and generate $51 million in capital investment. Kubota Tractor Corp. and Kubota Credit Corp. made the move. 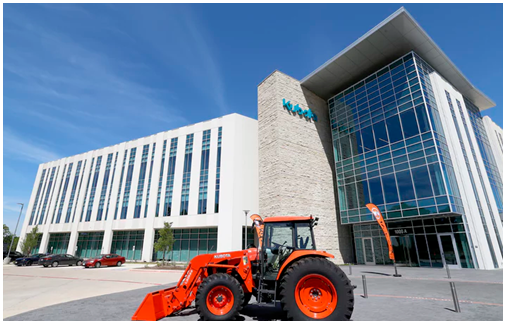 The Kubota move better positions the company for long-term, sustainable growth, said Dan Jones, the company’s vice president of human resources and administration. ​Want more ​data? See Dallas Office Market Research.